One of the most pronounced trends in the Chinese and Asian travel industry as a whole has been the increasing growth of low-cost airlines. Ever since pioneering American business leader Herb Kelleher demonstrated through Southwest Airlines in the 1970s that this was a lucrative model there have been thousands of companies around the world trying to jump on the budget airline bandwagon. In North America there was a surge in both demand and competition the latter part of the twentieth century. In the 1990s a similar trend swept across the European travel industry, with firms EasyJet, Ryanair and Monarch becoming household names to the same extent as the traditional pricier carriers. So far this century, both demand and supply within the budget airline industry in Asia have been going through the roof. The continent now already has more cheap carriers than any other part of the globe. Air Asia, Jetstar, Tiger Air, Scoot, Cebu Pacific Air and Peach Airlines are just of few of the big names that are leading the way. To say that business is booming is a gross understatement. The continent's enormous and rapidly expending middle classes are becoming richer by the day and ever more eager to seize the opportunity to explore beyond their national borders. The biggest drivers of demand are of course the burgeoning Chinese consumers. Edward Luff of the Market Mogul reports that "it is now one of the fastest growing air markets, with an overall annual passenger volume of 392 million and the annual growth rate is forecast to rise to 10 percent, according to official data from aircraft manufacturer Airbus. Since late 2013, the Civil Aviation Administration of China has encouraged low-cost airlines to develop and expand their routes. Budget carriers account today for seven percent of China's domestic air travel market, and analysts predict it to double by 2020". In order to meet this rising demand, low-cost carriers have been adding new routes to their current network and updating their fleet. Spring Air, China's largest budget carrier, recently signed a USD 6.3 billion deal to buy sixty A320 neo jets from Airbus and thus improve fleet fuel efficiency. Furthermore, this sector's growth potential has led some state airlines to convert to low-cost carriers. In 2015 alone, China Eastern Airlines converted its China United unit into a budget carrier, and Juneyao Airlines set up a low-cost subsidiary in Guangzhou. West Air switched in 2013, and Lucky Air, another carrier part of HNA Group, is in that transition process. China Southern Airlines is also considering setting up a budget subsidiary, according to Reuters. The simply fact, from a business perspective, is that budget airlines are increasingly the way to go in this market place. Despite a slowdown - or rather a slower rate of GDP growth - in the Chinese economy and the plummeting of certain asset prices, consumer demand for everything from holidays abroad to designer fashion items is still growing at an incredible pace. It isn't just the new rich that are fuelling this consumer boom either, it is the middle class and, to some extent, a segment of what Westerners would call the 'working class' or the average income Chinese citizens. Their new-found spare cash is finding its way into the travel industry like never before, especially thanks to the emergence of ultra-cheap tour group companies that are whisking Chinese travellers away to other parts of Asia for a fraction of the price that it would otherwise have cost them if they were to book the trip themselves. Budget airlines are an increasingly essential component in meeting the demand of the not-so-well off members of Chinese society. Right now they are going from strength to strength. There is plenty of investment available, particularly given that many of the airlines in this space are state-owned assets. Asia's network of aviation hubs is growing at an incredible pace, which is in turn creating new routes and new opportunities that were previously off-limits because they were either too costly or too inconvenient to justify the capital expenditure. Other factors, most notably the relatively low labour costs and the current oil prices, are also helping China's low-cost carriers to strengthen their balance sheet. Going forward there is every reason to believe that regardless of the economic circumstances this industry as a whole will continue to grow rapidly. The figures for the Chinese aviation industry alone are astounding. 2015 was another record breaking year for profits. According to the Civil Aviation Administration of China, the industry turned over about 55 billion CNY in the last financial year. The data indicated a staggering year-on-year growth rate of 76 percent. The improving levels of efficiency amongst budget carriers have been so profound in recent years that these companies look set to continue outperforming the big state-owned firms. Bloomberg recently reported that "with combined fleets exceeding 1,000 planes, USD 31 billion in market value and up to twenty times more workers, state-controlled China Southern Airlines, China Eastern Airlines and Air China on average provide one-third the returns of Spring Airlines and Juneyao Airlines according to data compiled by the authorities". 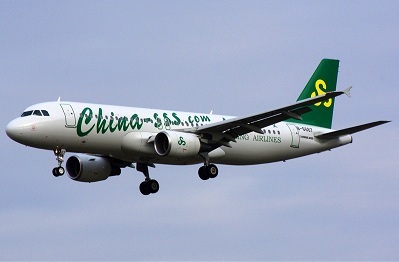 Furthermore, the news agency pointed out that "even the Chinese regulating bodies have lauded Spring Airlines as a resounding model of corporate efficiency". This kind of information certainly has escaped the attention of the investment community. 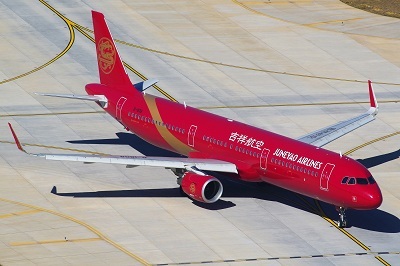 Since Juneyao Airlines was listed last year the stock price has been driven up more than fourfold, while Air China's shares plummeted by nearly 50 percent over the same period. In the coming months and years it will also be interesting to see how investors choose to play this sector. On the one hand they may opt for the perceived safety that comes with the track records, state backing and economies of scale of the big established airlines. Then again, though, it is looking increasingly likely that they will see the intrinsic value of the new players who are looking to get in on the booming budget travel market. Over the course of this year, the overall amount of profit being made by both budget airlines and traditional carriers is set to surpass last year by quite some distance. The extent to which this happens will be determined in part by how successful the new international routes are. This includes, for example, the new direct links that Hainan Airlines are opening up to from Tianjin to New York, London and Vancouver as of this summer; a very exciting set of prospects indeed for people based in this city. Many industry experts are now saying that a number of low-cost carriers, which were previously domestic only, are currently looking at cashing in on the demand for international travel, particularly to well-established destinations like Thailand, Malaysia, Singapore and South Korea. Hu Tingbao, deputy manager of Spring Airlines' marketing department, says that "facing the competition of high-speed trains and expressways, the expansion of low-cost airlines both domestically and internationally is an unavoidable trend... ticket prices 20 to 30 percent lower than regular flights to all destinations will give us a big advantage in the marketplace". The market is so hot that companies which have not traditionally gotten involved in aviation directly are looking to get in on the action. Zhu Wenqian of The China Daily newspaper recently reported that "Qunar Caymen Islands, China's second largest online travel agency, is setting up a Shenzhen-based low-cost airline in partnership with two other companies from the city, in an apparent response to recent bans on its sale of flights for some major airlines". The move may have come as a surprise to some but it certainly isn't too shocking that such a company would want to leverage its solid presence in the wider travel market in this way.